Sweet Cheeks Adventures: You need a Snuggie in your Life! You need a Snuggie in your Life! I am usually cold. When I lived in Kansas, there were times when I would shiver and shiver... One Christmas Eve in particular I can remember driving back to our home from my Mother in Law's. We had a great Christmas celebration with them but in typical Kansas fashion it decided to dump snow on us. Allyson was just born and wouldn't stop crying. The whole ride home... cry, cry, cry. I get it.. I was cold too. The inside of the car was rather toasty, but it was the bone chilling kind of cold. I could have used a Snuggie that night. Fast forward to living in Pennsylvania.... more snow, more cold. Could have used a Snuggie there too. Now that I live in Florida, there is no snow. No bone chilling cold. The air conditioner is on year round so, you guessed it... I still needed a Snuggie! I now have a Snuggie!!! My new Snuggie is warm! 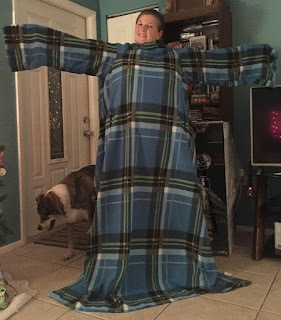 My new Snuggie is functional! My new Snuggie is the envy of the children while we cuddle on the couch after a long day. My new Snuggie is all mine!!!! 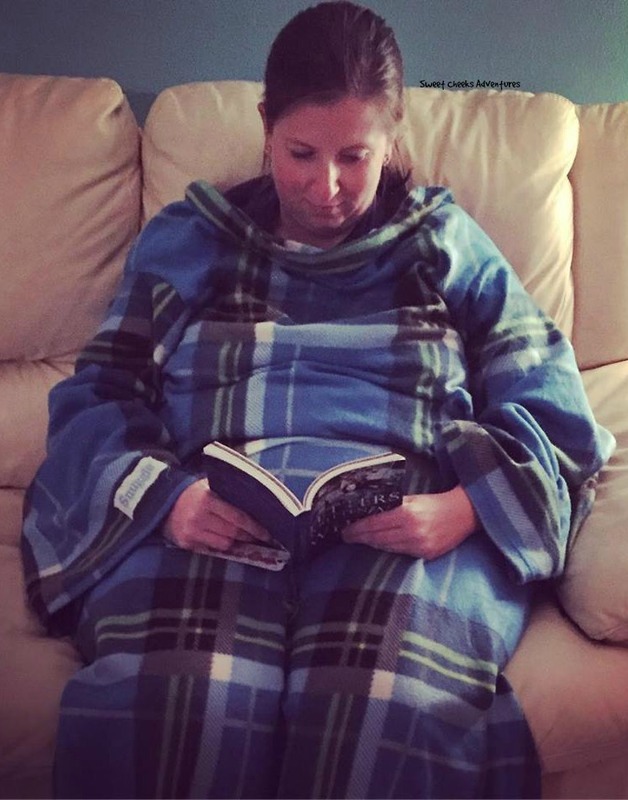 Snuggie: The blanket that has sleeves! Pretty brilliant if you ask me. This is perfect for sitting on the couch, keeping your arms and hands warm while you have access to the remote. No more reaching for something and your arm returns under the blanket being ice cold! The length is perfect if you are planning to lay down. I don't suggest trying to wear it while you move around the house. I may have tripped once. Don't worry about me! My arms were still warm on my fall! That looks like something I would like for reading and being warm. I promise not to wear it around the house.